As 2017 comes to an end, it is fun to think about our fitness goals for the New Year. From running daily to starting a new diet, exercise resolutions are vast. This easy exercise resolution works for both parent and child. 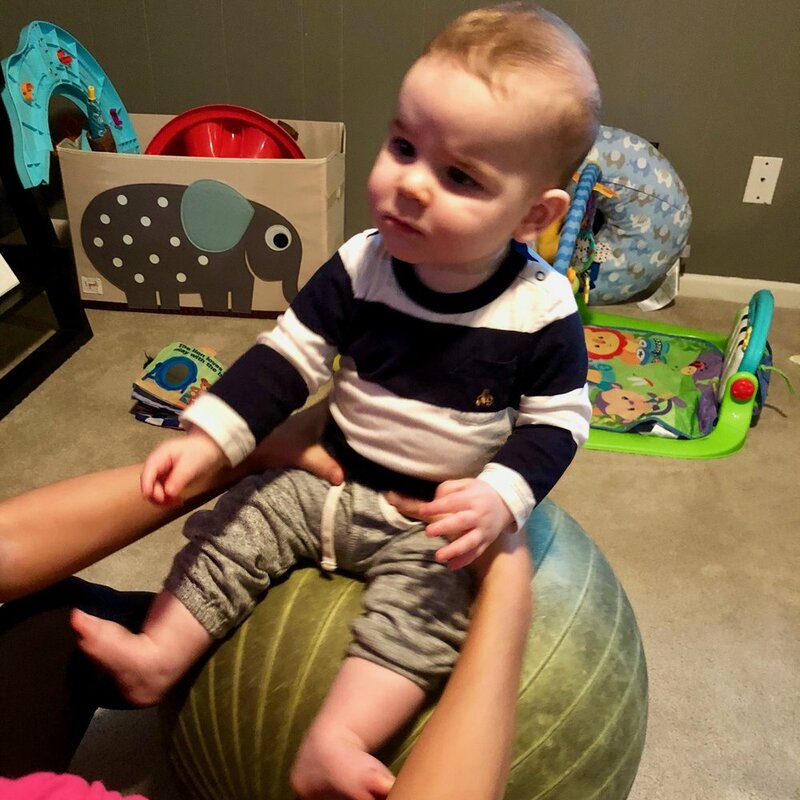 Try incorporating my favorite piece of equipment into your daily exercise routine using an exercise ball (also called a Yoga ball or therapy ball). 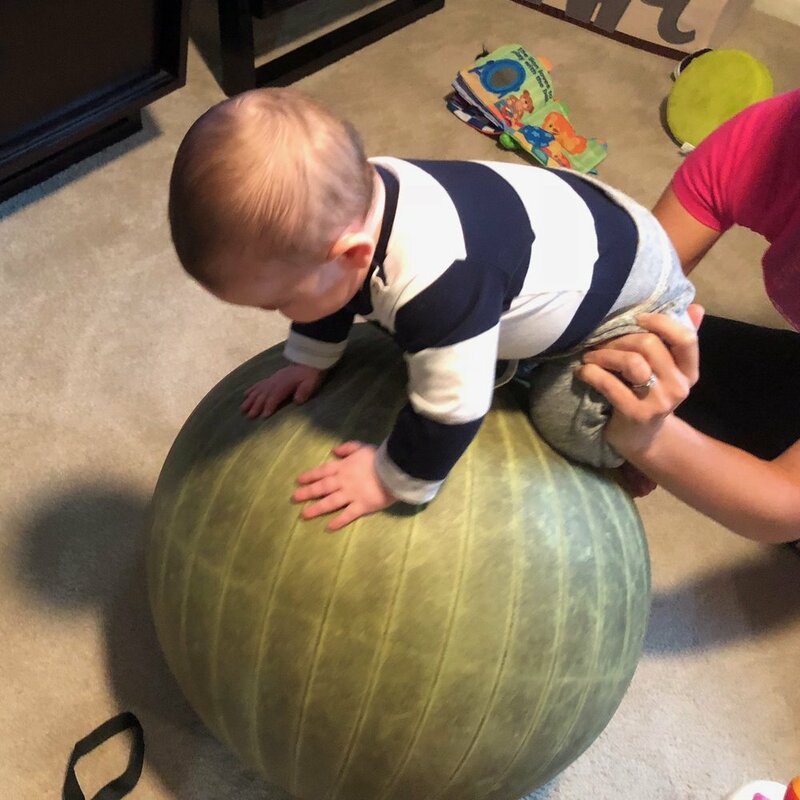 The exercise ball is perfect for all ages including your baby. Place your child on his stomach and position hands, palms down under the shoulders. Rock child forwards with his head towards the floor for increased strength challenge. Rock child backwards with feet towards floor to make the exercise easier. For older babies (6 month and older), try all above movements holding the child in a crawling position. Place child in sitting, facing you to stimulate visual feedback. Holding the baby low at the waste proved increased balance changes to the core muscles that control the body. Tip: the head should move opposite of the body on the ball. Therefore, when you move your child’s body to the right, his head and shoulders should move to the left. Exercise is motivating for both adults and children when it is fun! 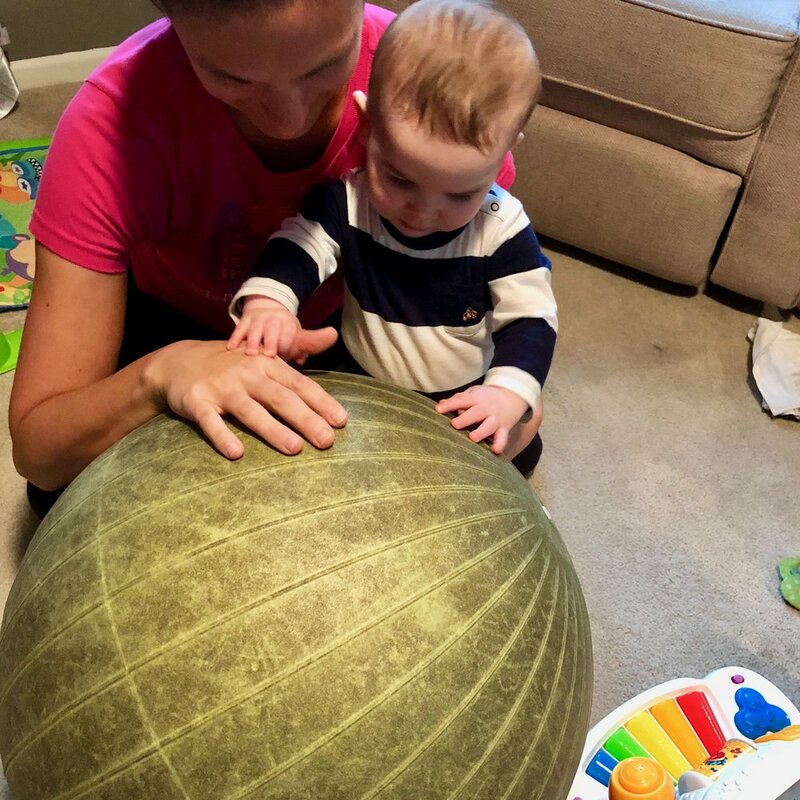 Bouncing, rocking, standing, and hitting the ball are all exciting activities that motivate your child to engage in exercise longer. No matter what your resolution is for 2018, Boost Babies wants to wish you a very happy New Year! Contact Us today for more information on improving your child's health.